Communities across the globe face myriad and interacting socio-economic and environmental challenges. This chapter evaluates a citizen-led, community-scale response to these challenges offered by the Transition Movement. Phronetic inquiry is used as an analytic framework to answer four value-rational questions posed: Where are we going? Is this desirable? What should be done? Who gains and who loses? 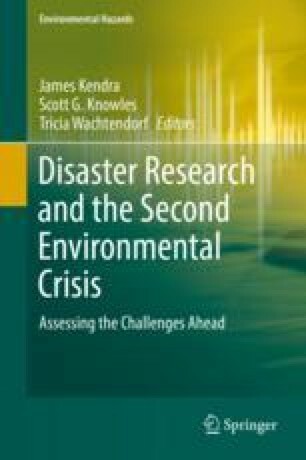 The analysis points to the strengths and potential of the Transition Movement for mobilizing a community-scale response to global hazards, but it also highlights possible shortcomings, especially for who gains and loses because anecdotal evidence suggest that Transitioning communities are predominately White, educated, upper-middle class. The chapter empirically tests these anecdotes and finds that Transition host communities in the United States are indeed generally better educated and less racially and ethnically diverse than American communities on average. There is less evidence for an upper-middle-class nature of the Movement in the United States.